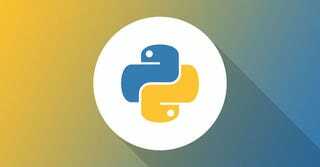 Python is one of the most useful and easiest to learn coding languages out there, making it a great option for first-time learners. This Python Programming Bootcamp is the last training resource you’ll need, covering everything from introductory principles to more advanced techniques through expert instruction and hands-on practice. The combined value of all courses is over $1,000, but Lifehacker readers can get the entire bundle for just $39 - over 95% off. Interested? Hit the link below to find out more.